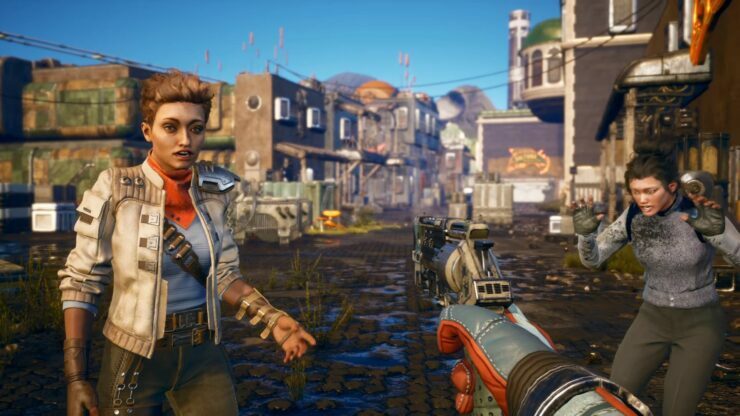 Obsidian Entertainment is releasing a new third-person action roleplaying game this year, The Outer Worlds, also a new IP. In an interview conducted by USGamer at PAX East 2019, Lead Designer Charles Staples highlighted the difficulties encountered by the developer in trying to make a game of this scope with a limited amount of time (a little over three years, given the rumored August release date). From my perspective as the lead designer, it’s been a big challenge of just trying to make the type of game we’re trying to do in the amount of time we have. We want to do a lot. There’s a lot of big ideas, and it’s a lot of systems, and a lot of different types of gameplay. It’s a lot of work to put it all together, and it’s been challenging, but I think the gameplay is coming together and it’s fun. We have fun playing it. Part of the issue is that The Outer Worlds is being developed with the Unreal Engine 4, and it’s the first time Obsidian is using it. On the other hand, with Fallout: New Vegas (the last big game of this kind made by the studio before it focused on cRPGs like Pillars of Eternity and Tyranny for some time), Obsidian had a lot of assets ready for use. With Fallout: New Vegas, you already have a really rich IP and a lot of previous games to build off of. Also, that engine and toolset and a lot of those assets already existed, and we’re building everything from scratch [for The Outer Worlds]. Still, this won’t be an open world game and the developers already praised the Quality Assurance support they got from publisher Private Division, which gives us hope of a relatively bug-free launch. There’s no date yet, but The Outer Worlds ships this year on PC (Epic Games Store and Microsoft Store), Xbox One and PlayStation 4. Check out the latest gameplay footage from PAX East in our previous report.